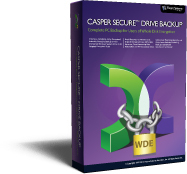 Casper Secure Drive Backup is the only PC backup and recovery solution designed specifically for users of Windows BitLocker and Symantec (PGP) Drive Encryption technologies. Casper Secure Drive Backup creates a complete, fully-encrypted backup of your encrypted Windows system drive in its original encrypted state. Everything remains encrypted throughout the process, so you can avoid the arduous and lengthy decryption and encryption steps that are required with other drive imaging and backup solutions. Casper Secure backs up everything, including the operating system, applications, settings, and all of your data. 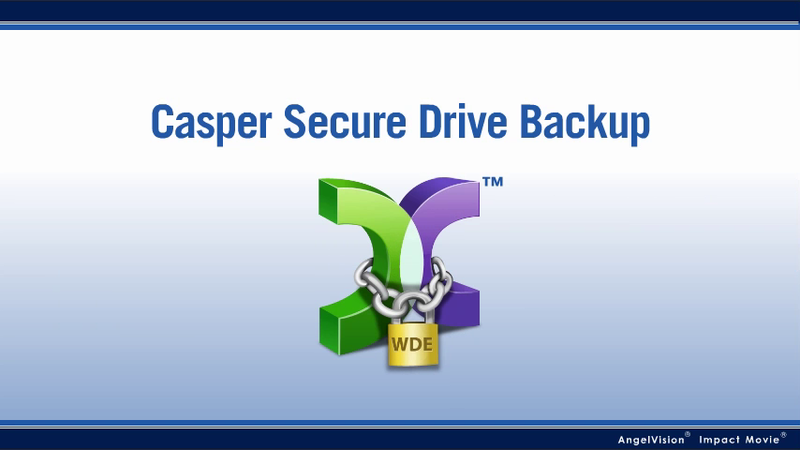 Casper Secure Drive Backup completely eliminates the separate data restoration and re-encryption steps required by other drive imaging and backup solutions. Whether you need to recover a single file or your PC’s entire system drive, recovery could not be faster or easier. You have complete and immediate access to all of the data on your backup; there are no additional passwords or exotic procedures to follow. Casper Secure can turn virtually any drive, including a portable USB drive, into an instantly bootable encrypted backup drive that you can use to boot and run your PC in an emergency. If your PC’s system drive should fail, simply restart your PC to your Casper Secure Bootable Backup or remove the failed drive and replace it with the Casper Secure Bootable Backup. Either way, you can be back up and running in minutes, eliminating a day or more of unnecessary downtime. It really is that easy! A Casper Secure Restore-Point Backup stores a complete image of your PC’s encrypted system drive that you can use to restore selected files and folders or your PC’s entire system drive to a previous point in time. Multiple Casper Restore-Point Backups can be stored on a single backup drive and can be restored directly to their original encrypted state without ever putting data at risk or requiring a separate, time-consuming data re-encryption step. SmartRestore™ technology makes recovery as easy as booting to a Casper Restore-Point Backup drive. Casper Secure Drive Backup eliminates the security and compliance risks associated with other backup and recovery solutions. With Casper Secure, data is never placed in an exposed or unencrypted state. All data remains in its original encrypted state during and after the backup and recovery processes. This means all backups created, maintained, or restored by Casper Secure maintain 100% compliance with enterprise-wide data security directives and HIPAA requirements. It also means there are no new passwords for you to remember or IT to manage and there are no new encryption technologies to vet. With Casper Secure, the backup is guaranteed to be as secure as the original. Casper Secure can quickly duplicate your encrypted system drive to another drive without requiring a laborious, time consuming and unsecure backup, restore, and re-encryption process. 1-Click SmartStart™ technology makes it extraordinarily easy to safely replace your PC’s encrypted system drive with a larger drive for increased capacity or with a faster solid state drive for improved system performance. Casper Secure Drive Backup enables complete system backups to be performed at any time without leaving Windows, so there is never a need to restart the computer or stop work to create a backup. Easy to follow wizards and innovative technologies like Casper SmartStart™ make it easier than ever to create and maintain complete system backups for your encrypted PC. Advanced data verification technology ensures data has not been compromised during the imaging process by faulty RAM, a defective cable, failing disk or bad controller interface. For added peace of mind, a bootable backup created by Casper Secure Drive Backup can be tested immediately after its creation by simply configuring your PC to boot from it — completely eliminating any worry about the integrity of your backup. PC Magazine 4.5 Stars Rating Logo is a trademark of Ziff Davis Publishing Holdings Inc. Used under license.